G12 is having a blast on our midnight adventures. My friend Holly told me about a cemetery near her sister, Karena's house. She lives in Georgetown, Pa, very close to Hookstown. 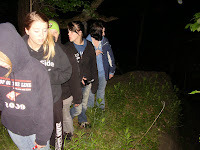 So, Friday night, after my CCFHV meeting, Amber, Brooke, Briana, and I went on another Midnight adventure. We were so glad we did! We captured an excellent EVP that said "GO HOME!" It came over the Ghost Box, before we even got started. I was working with another recorder to get it started when those two haunting words came out of the radio. We did not get much in the way of pictures or video, though there are a few pics we are taking a closer look at. Expect a video about it soon! 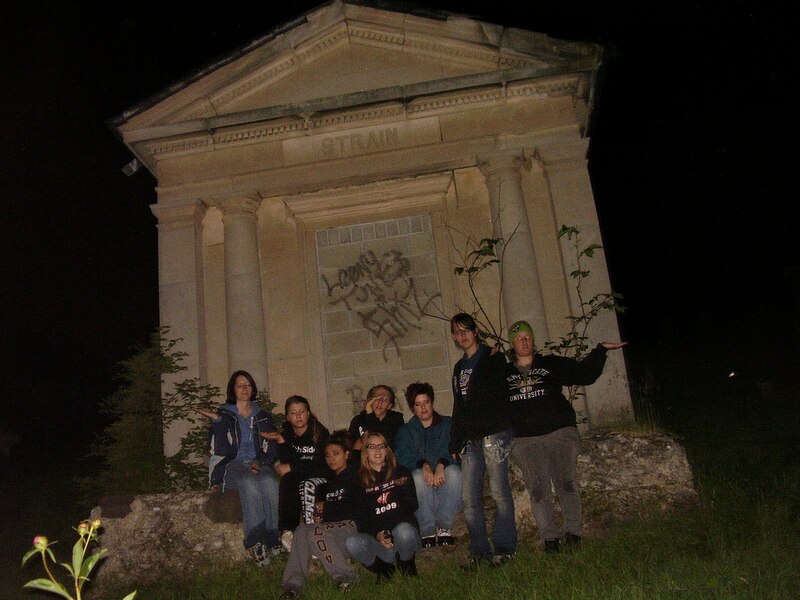 Besides Holly and Karena, we were joined by Kylie, Alexiss, and Amber, who told us an interesting story about this cemetery. Years ago, there was a woman that everyone thought practiced the black arts. She was labeled a witch. The townspeople attempted to hang her from a tree once located in the cemetery, but, according to the story, the tree broke and the witch got away. Now, every Halloween, she returns to Georgetown Cemetery. This is a legend we are working on finding more information about. If you have heard this story, please let me know! We are planning a daytime exploration here in the near future because there were things we couldn't see, like signature rock. Definitely a must see attraction for this fine old cemetery. It is located on a hill and accompanied by something of a high cliff, so we opted to view it when we had a lower risk of getting killed. No need to add our ghosts to the area. It has enough. hi i'm glad to see someone is checking out that cematery. my husband ,sister-in-law and her husband has taken me out there a few years ago they told me that is where the night of the liveing dead was filmed. the pic that has all of u around a headstone and ur faceing the camera we touched that one and it was warm but the others around it was cool . the pic w/ the one u said a witch was supose to be in i have taken two pics of it w/ a digeatol cam standing in the same spot . 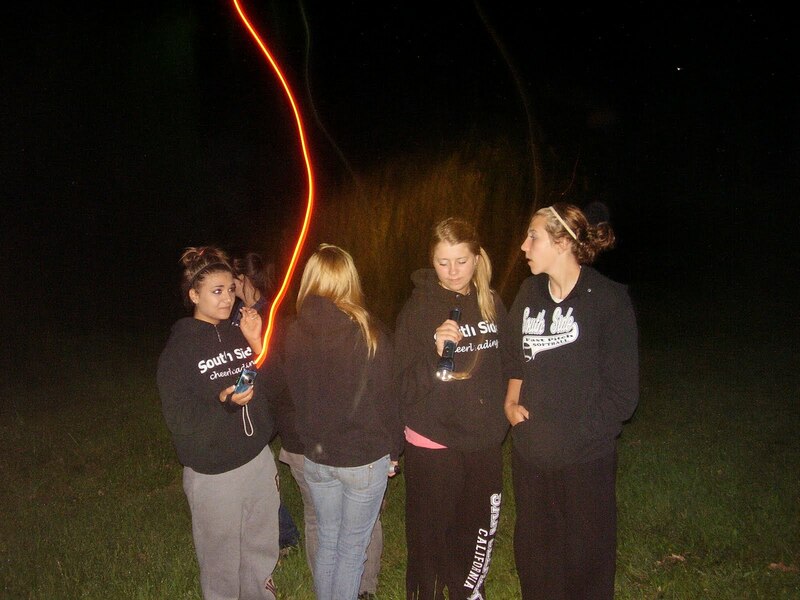 both pics had an orbe in the same spot in front of it . 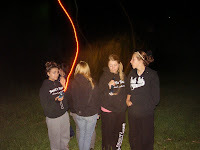 my mom takes beter pics of orbs she will use two diff cameras because people tells her that its her camera is messed up. she says she wants to go there next time we go and see what she can find. MONDAY 8/22/16 730pm - 9pm My first time there with my friend Shelby who had been there before many times. We got 2 flashlights going on and off to questions. SPIRIT BOX with got a long story from a ghost BOBBY who was in World War 1 in FRANCE. He died of a farming accident his arm was crushed and he bled to death B4 the doctor arrived. He raised pigs, wheat, grain, had a wife and 4-5 kids. The flashlight was blinking after we asked how many kids he had. He was a Catholic. Another ghost FRANK came thru the spirit box. When we asked do u want us to leave the box said YES. So we said thank you and god bless u may u rest in peace. The box said god bless. I thought I saw something big fly thru the air out of the corner of my eye when it was getting dark but it could have been an owl or hawk etc...VERY CREEPY. WE SAID THE PRAYER OF ST MICHAEL BEFORE/AFTER AND CROSSED OURSELVES WITH HOLY WATER - BECAUSE MY FRIEND WENT TO QUAKER CEMETERY IN PERRYOPOLIS AND A DEMON? 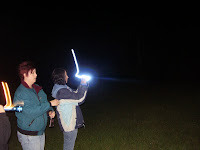 EVIL SPIRIT FOLLOWED THEM HOME AND THEY HAD TO GET A HOUSE BLESSING, ETC....TO GET RID OF THE EVIL. BE CAREFUL AND PRAY TO GOD AND JESUS THAT THE LIGHT OF GOD SURROUNDS U.
Monday night 8/22/16 WE HAD ALOT ACTIVITY. 2 FLASHLIGHTS GOING ON AND OFF TO QUESTIONS AND A LONG STORY FROM A FARMER GHOST ON THE SPIRIT BOX. 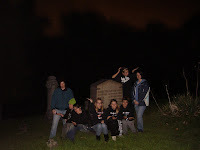 WE ALSO GOT EVPS FROM ANOTHER GHOST. THE K2 EMF METER DIDNT GET MUCH IT WAS BRAND NEW MAYBE DEFECTIVE. I HAVE NEVER HAD THAT MUCH ACTIVITY OR EVPS IN ONE SESSION WE ARE GOING BACK NEXT MONDAY OR TUESDAY NIGHT WITH A BIGGER GROUP OF PPL. 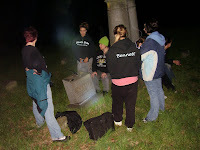 WE ARE GOING BACK WITH A GHOST HUNTING GROUP NEXT WEEK. is this the Hookstown cemetery in Hookstown, Beaver County, Pennsylvania? If not, pretty much ignore everything I have to say. If so, I'm a direct descendant of the Hooks buried there. If you're interested in who some of these people are, see my cousin's published book, Mathias Hook of Beaver Co Pennsylvania by Glenn L Hook Sometimes knowing information about them and their families helps when investigating. But I'm curious to know if this is that cemetery. My ancestors founded the town. It was named after Mathias. Portions of the family then migrated to Highland County Ohio and were early pioneers and first settlers there as well. One of them who was born in Hookstown and then migrated to Highland Co, had a particularly rough reputation.